Welcome Milton Davis to Pulp Reports. Fantasy and alternate history stories based on African American history and culture are few and far between. Most stories written about our past are historical fiction, telling the lives of black men and woman as they struggled and sometimes triumphed against slavery, or historical tomes on the black men and women who excelled despite the oppression of slavery, Jim Crow and racism. But there are few stories centered in that brief period of hope known as Reconstruction and the disappointing years following that failed effort. 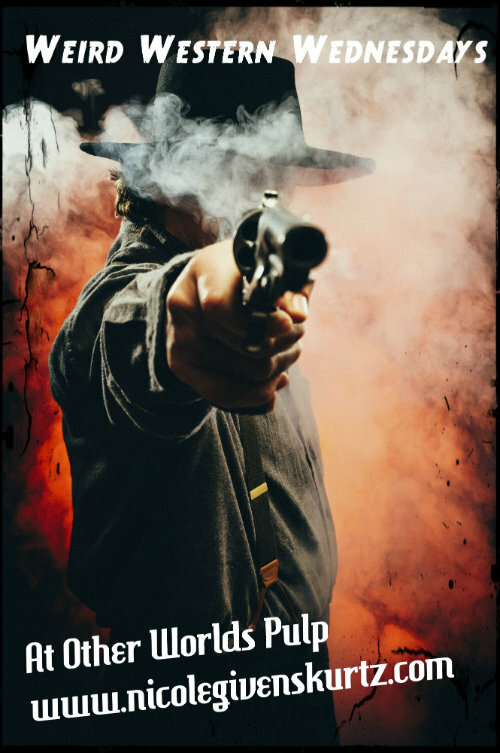 My story ‘Kiowa Rising’ is one of the few fiction stories that takes place in the time period after the Civil War and is part of a series of stories based in the ‘Rite of Passage’ universe created by Balogun Ojetade and I. The Rite of Passage stories evolved from my short story ‘Rite of Passage,’ about a young girl named Dorothy who witnessed an extraordinary act while part of group of enslaved Africans escaping the south with Harriet Tubman. Later as a grown woman Dorothy,, living in Nicodemus Kansas, encounters the same man who enlists her to help him on an adventure then bestows to her the source of his power; an artifact necklace which he was given hundreds of years ago during the Middle Passage. She learns she is not the only one gifted powers by these special powers. Others find their way to Nicodemus as well, each under the tutelage of Harriet Tubman. They eventually form a ‘Steamfunk’ superhero force dedicated to protecting the black citizens of Nicodemus. 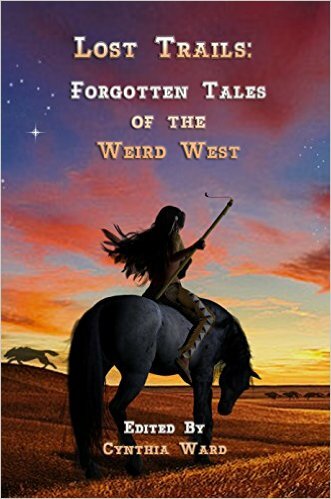 Because these stories take place in the West, they fall under the category of ‘Weird Westerns.’ When I wrote Rite of Passage it came from the simple thought of what if Harriet Tubman had help, and what if that help came from a person with super powers? As a history buff I see so much potential to tell stories like this based on African American history, but it seems that many writers shy away from looking at this time in our history. I personally believe it’s because our history in this country is one filled with such horrors, pain and struggle that many of us would rather look forward. But within this harsh reality I see bravery, courage, defiance, endurance and perseverance, all qualities that have allowed us to continue to progress and excel up to this point. Rite of Passage and Kiowa Rising are the first of what I hope to be many stories centered in this universe. Three years ago Balogun Ojetade and I completed a film titled Rite of Passage that serves and an introduction to some of the characters. We hope to have it ready for showing in 2016. We hope to expand our world through stories and films going forward, including black history and historical icons as we move forward. Our history in this country is much more than slavery and racism. While we must always strive for a better present and future, we mustn’t forget the past and the lessons we’ve learned from it. We must also make sure we understand and learn that our history is much more than just slavery, that it goes beyond the Middle Passage to our African roots, and that it is filled with positive and inspiring events and people. This is part of what I seek to do when writing stories, be it Weird West, Steamfunk, Sword and Soul and Cyberfunk. It’s about linking the struggles of and triumphs of the past with the struggles, triumph and hope of the present and the future. 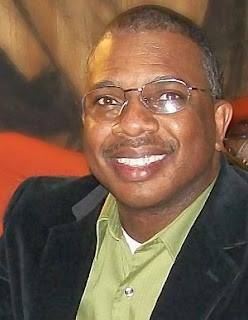 Milton Davis Biography-Milton Davis is a research and development chemist, speculative fiction writer and owner of MVmedia, LLC, a micro publishing company specializing in Science Fiction, Fantasy and Sword and Soul. MVmedia’s mission is to provide speculative fiction books that represent people of color in a positive manner. Milton is the author of Changa’s Safari Volumes One, Two and Three. His most recent releases are Woman of the Woods and Amber and the Hidden City. He is co-editor of four anthologies; Griots: A Sword and Soul Anthology and Griot: Sisters of the Spear, with Charles R. Saunders; The Ki Khanga Anthology with Balogun Ojetade and the Steamfunk! Anthology, also with Balogun Ojetade. Milton Davis and Balogun Ojetade recently received the Best Screenplay Award for 2014 from the Urban Action Showcase for their African martial arts script, Ngolo. His current projects include The City, a cyberfunk anthology, Dark Universe, a space opera anthology based on a galactic empire ruled by people of African American descent, and From Here to Timbuktu, a steamfunk novel.